Wall art can add warmth and beauty to any space. 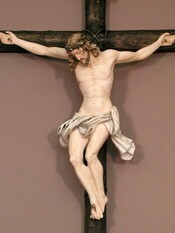 Instead of choosing a generic piece for your home, church or office, choose art that has real meaning and value. Matthew F. Sheehan's is pleased to offer a large selection of religious wall art that celebrates religion while blending with any decor. 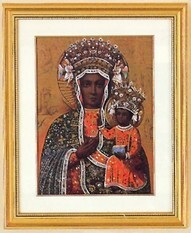 We carry a variety of paintings, prints, plaques, crosses and more. Designs range from traditional to modern, so there's something for everyone. 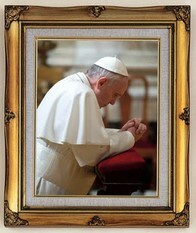 Traditional framed prints look excellent in churches while modern crosses or simple plaques are ideal for home use. Many of our wall plaques, paintings and prints come framed and are ready to be hung. This added feature ensures that the frame always matches the artwork and makes it easy to display the art. Many of the frames are just as beautiful as the pieces they hold. 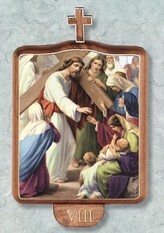 Purchase the wall art for personal use or give it as a gift to friends, family or your church. Wall art is a great gift for any occasion and is something that will enhance the life of the recipient. Religious artwork has a way of lifting spirits and telling a visual story of trust, triumph and love. Choose your favorite pieces today and have them delivered straight to your door.